Welcome to the 2019 Standish Little League Baseball and Softball Online Registration Page. This year, once again, we are offering a special "Early Bird" online registration $10 discount for each registratoin if you sign up in the month of January so don't miss out on the savings!!! Before registering online, feel free to visit our Registration Tips page. The important information you'll find there will help make your registration process as efficient as possible and help to make sure your registration is 100% complete. 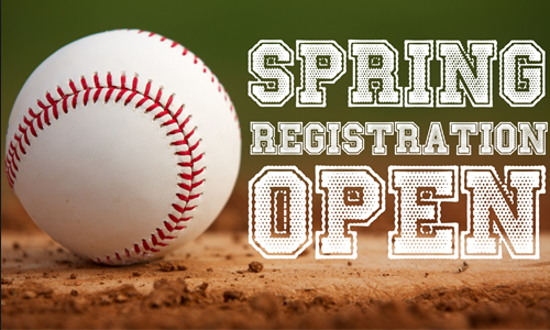 IN-PERSON REGISTRATIONS: We will have our In-person registrations (Baseball and Softball) in February and those dates will be announced soon but in the meantime, take advantage of the Early Bird registration. There is a $20 sibling discount (includes Baseball and Softball) for families with more than one child. All players and parents personal/payment information on this site is protected by Sports Illustrated Play. Limington Residents (Ages 4-6, T-Ball and Coach Pitch Baseball ONLY), please register in person at the Limington Town Hall. Official Registration dates will be coming out soon so stay tuned to Limington Youth Website and their Facebook page for more information. All new families will need to create a new Standish Little League SI Play account in order to register. Simply click the "Create a new account" option when asked to log in to the registration system. After you create your new member account, choose "Register Now" You will be asked to fill in parent information. Choose the division or age group for your player and then fill out the player information. Once you are finished,you'll be asked if you want to add more players or to finish registration and pay. COACHES SHOULD FILL OUT THE COACHES/VOLUNTEER REGISTRATION IF THEY WOULD LIKE TO REQUEST TO BE A COACH!!! 4) CHOOSE YOUR PAYMENT METHOD AND YOU'RE DONE! After you've filled in your parent and player(s) information, you'll see your total fees and you can choose to pay by debit or credit card online. Thanks for registering. We're so glad you'll be playing ball with us in 2019! It's going to be a great season!